The Hobbit: The Battle of the Five Armies has been making a ton of money, which is exactly what you would expect from a Peter Jackson movie based in Middle Earth. Like all the other Lord of the Rings movies, the latest Hobbit is full of epic battles between a variety of fantasy characters and monsters. But while dragons, elves, and sorcerers posing as necromancers have never existed, some of the most interesting creatures in the movie look a lot like animals that did. 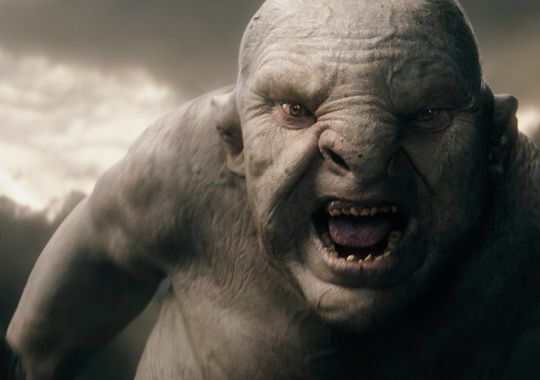 Here are three animals in the latest Hobbit movie that could be based on real animals. In the movie, Thranduil, King of the Elves, appears to ride an Irish elk into battle. 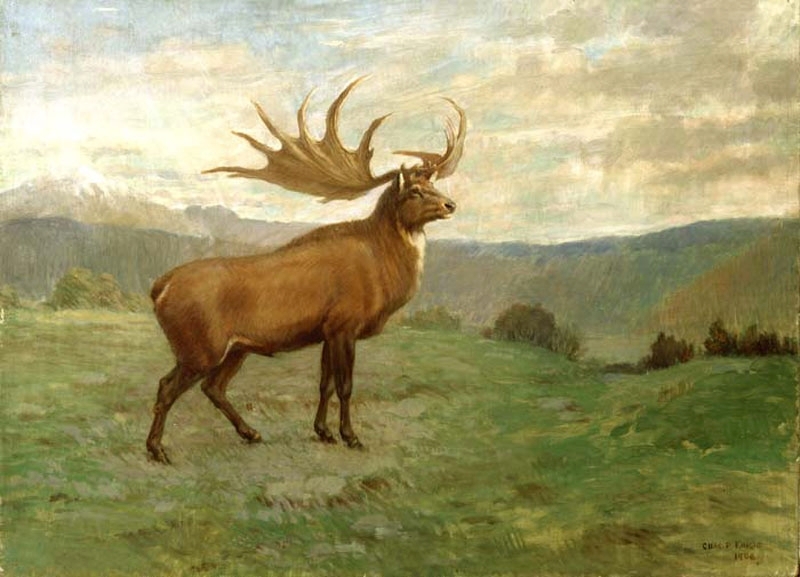 That might not sound like something typically Lord of the Rings, but Irish Elk are among the biggest species of deer ever—they’re about the size of a moose, but with antlers up to 13 feet across. Irish elks lived all across Europe, Asia and North Africa, and scientists have dated the most recent remains to between 7,000 and 8,000 years ago. While not exactly like the ones in the films, enormous eagles did live in New Zealand up to about 500 years ago. The Haast’s eagle probably didn’t show up and carry characters away from certain death, but it was still pretty badass. They were twice the size of the largest eagle today and preyed on moa, a type of flightless bird that grew up to eight feet tall and over 500 pounds. 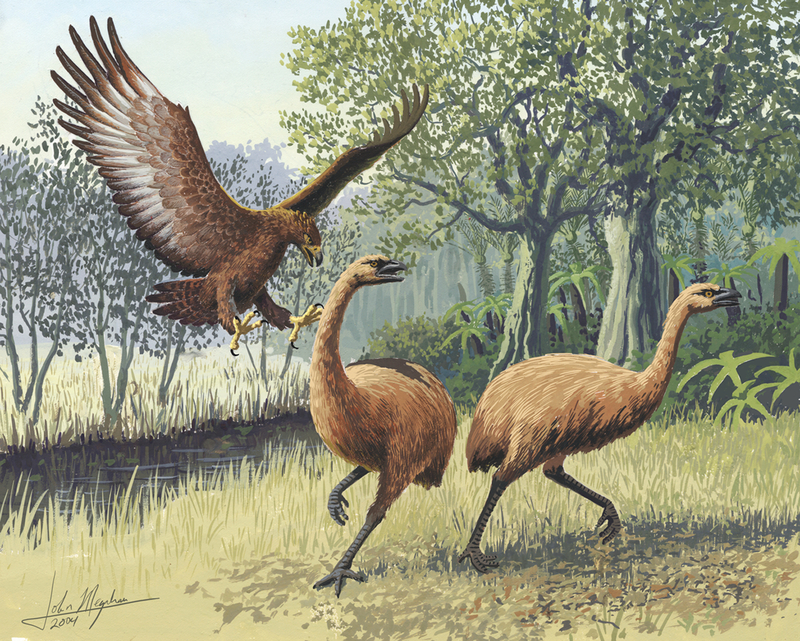 As if that wasn’t enough, the Haast’s eagle may have preyed on human children, something Maori legend hints at and science supports as a possibility. 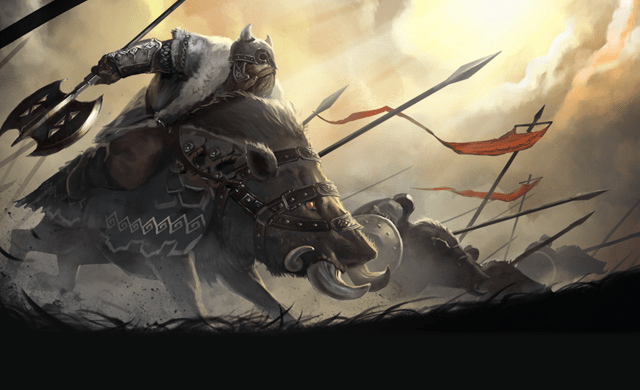 In the film (and the illustration above) it looks like Dáin, the leader of the dwarf army, might be riding a wild boar. Even in the present day, these pigs can get to almost four feet tall at the shoulder and weigh over 600 pounds. In 2005, National Geographic researchers analyzed the remains of a massive swine killed by a hunter in Georgia. The animal turned out to be half domestic pig and half wild boar—it weighed around 800 pounds and grew to eight feet in length. 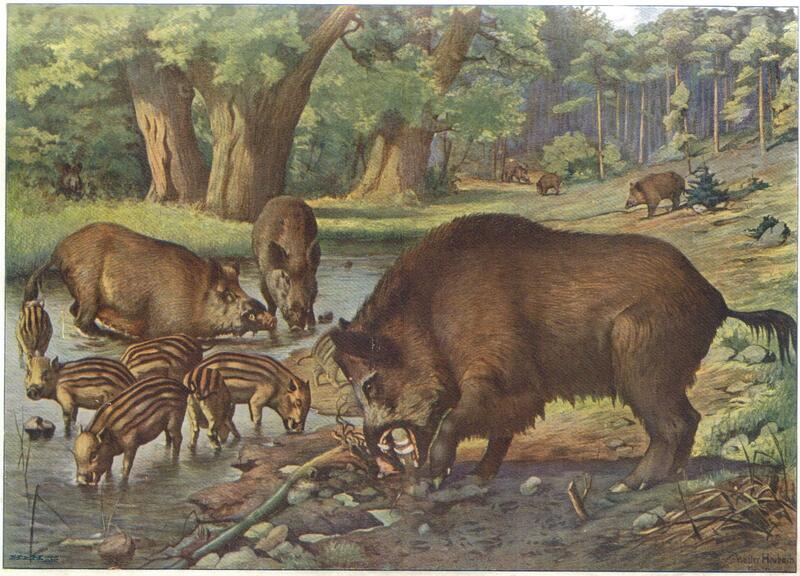 Prehistoric pigs could grow even bigger. Dáin could have done even more damage in combat with a vicious Entelodont, a large mammal related to living pigs that lived during the Middle Eocene. An Entelodont could weigh about the same as a Clydesdale horse. It also had fearsome teeth and jaws, which likely made it a top predator at the time. This entry was posted in Learning Stuff and tagged 3 creatures in the new hobbit movie that actually existed, dwarf lord, elf king, lord of the rings, lord of the rings biology, lord of the rings creatures, the hobbit, the hobbit 3, the hobbit battle of the five armies. Bookmark the permalink.